There's little doubt that unused satellite dishes make for a big eyesore, but the question of how to get rid of them -- and whose job it is to do so -- is a bit more layered. Typically, the responsibility of removal and disposal falls to the owner of the dish, not the television company or the inheritor of property with an existing dish. In addition to the actual act of removing the dish, which often entails liberal use of a socket wrench and poses the prospect of climbing on your roof, the device's innards raise some concerns. The circuit boards inside satellite dishes contain toxic lead, mercury, cadmium and other potentially harmful substances, which is why numerous states ban disposal of electronics, or "e-waste," in landfills./ This means that chucking the dish in your trashcan or dumpster isn't a likely option. Recycling your dish is the most cost-effective and eco-friendly option for disposal. Many major dish service providers offer equipment recycling programs. Often free, these programs simply require you to package your dish and receiver and ship them to the company's recycling partner via a printed, pre-paid shipping label. Depending on the age of the dish and receiver, they will either be recycled or refurbished for use by others. Contact your satellite service provider for details on specific programs. If your service provider does not offer a recycling program, you can turn to the nonprofit group Sustainable Electronics Recycling International for help with responsibly disposing of your dish and receiver. Their website offers a consistently updated list of certified electronics recyclers across the the United States, allowing you to search for the nearest location. 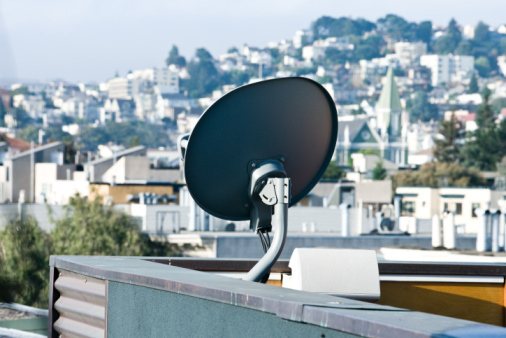 While they add service fees often totaling hundreds of dollars to the equation, nationwide satellite and antenna disposal services offer the most convenient option for ditching the dish. These services work with authorized and insured sub-contractors across the country, allowing you to schedule an appointment for removal. Though details may vary per company, the service generally includes full removal of the dish or antenna, removal of exterior cabling and mounting poles, and optional removal of mounting brackets. These services do not typically handle satellite receivers, however. Once the equipment is removed, it's either disposed of according to local codes or recycled.